Be Blessed offers comfortable self-catering accommodation in 7 fully equipped units situated on four plots in the centre of Richmond. 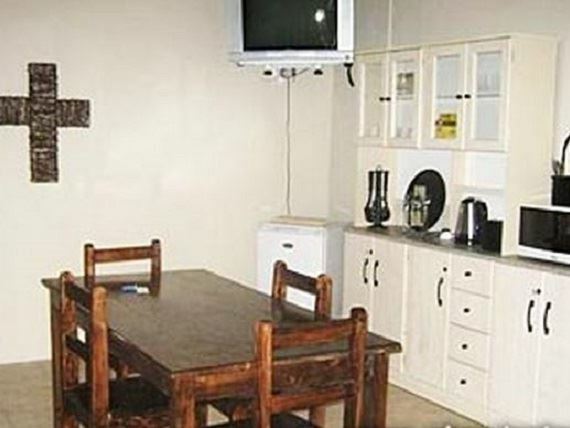 Richmond is a town located next to the N1 highway approximately halfway between Cape Town and Gauteng, making it an ideal stopover location.Each unit contains DStv, and Be Blessed offers very nice braai facilities either at the pool, next to your unit, or at a big braai-area in the garden. 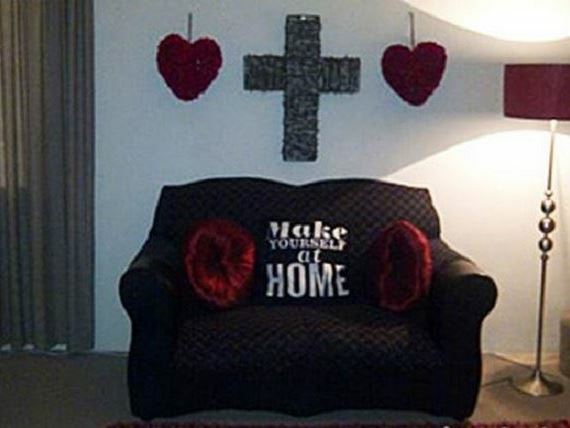 Because we are fully self-catering we do not offer any meals, however our kitchens are fully equipped...Feel free to visit our fully licenced restaurant, Die Krip, at our other guesthouse in close proximity.Be Blessed is also a pet friendly establishment.Our premises are surrounded by secure walls; we offer secure parking, a swimming pool, and jungle gym for kids, lawns forever, lots of trees and a peaceful garden which totally makes you forget that you are in town. 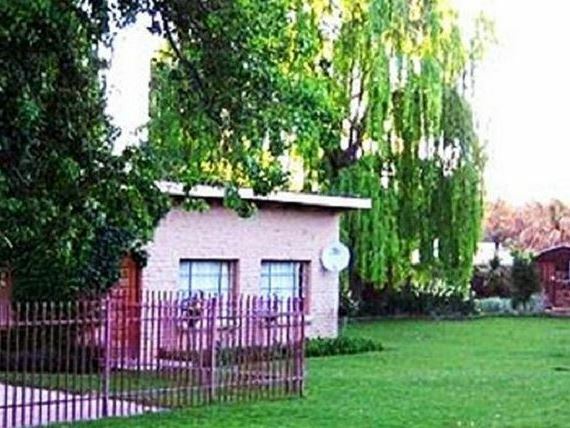 Because we are situated next to the river a variety of birds can also be seen.Richmond is South Africas book town and we are within walking distance from all of Richmond&apos;s bookshops and the country&apos;s only Saddle Horse Museum. "Professional friendly welcome from Sean!" "Welcoming restful and safe environment." "the accomedation was very pleasant"
"Loved everything....friendliness, good value for money..people in Richmond warmhearted...especially Janine from Vetmuis Pkaaskombuis and Johan from Museum"
"It is a huge place. Very beautiful and nice to stay. Saag is a friendly man. I will recommend this place to stay." 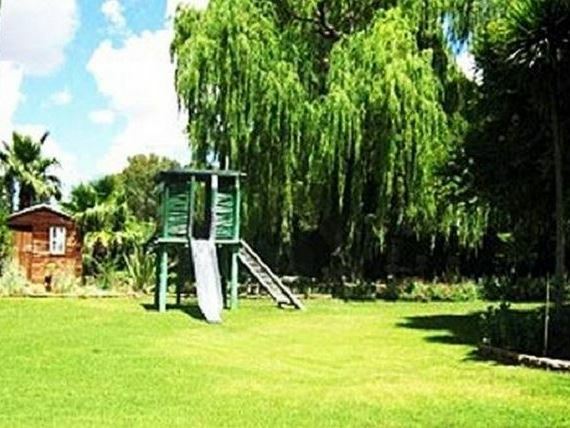 "My family had a wonderful stop-over on the way to CPT, really found the stay restful and in a beautiful surrounding." "We were welcomed so warmly and had a great stay. Sadly our visit to their own restaurant Krip wasn&apos;t so wonderful.Its a lovely place to eat with great decor. However after ordering our food at 7:30pm, we waited 90 minutes for our food to arrive after asking multiple times where it was. After an hour we were told sorry the veggies we ordered were now finished. When food did eventually arrive, our bobotie was cold, so not sure why we waited till 9pm for cold food when it must of been made and prepared during the day already.There was no manager around and just seemed incredibly unorganised, with us having to keep asking what is going on. Our bill was also wrong and with some investigation there were extra drinks on a handwritten tab which wasn&apos;t even our name. I would probably stay here again, but will probably find another place to eat." 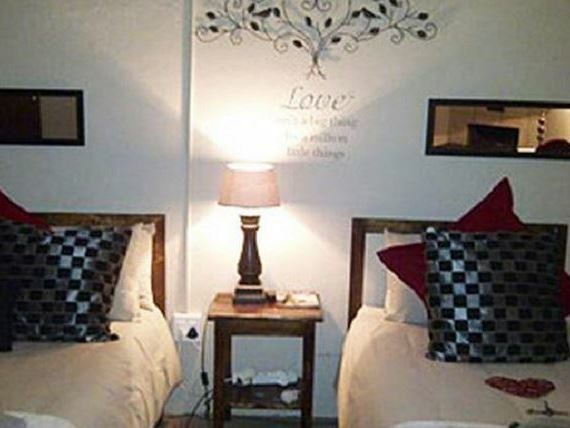 "Location between CT and Marloth park"
"We enjoyed our stay at this pet friendly establishment. Lovely green garden to relax in. Boas was a great friend to our 2 dogs. Friendly host (Shaun)." "Enjoyed everything. Have recommended it on fb."